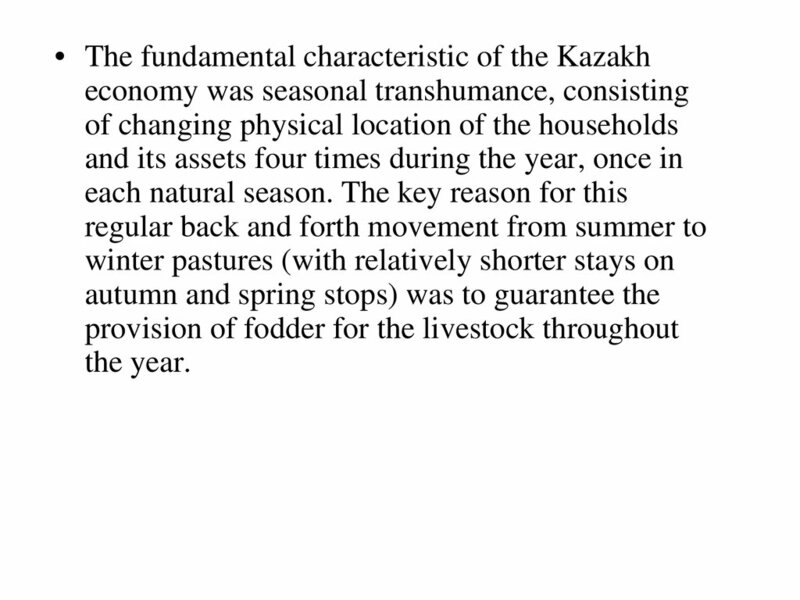 • They were nomads, engaged in seasonal nomadic cattlebreeding. 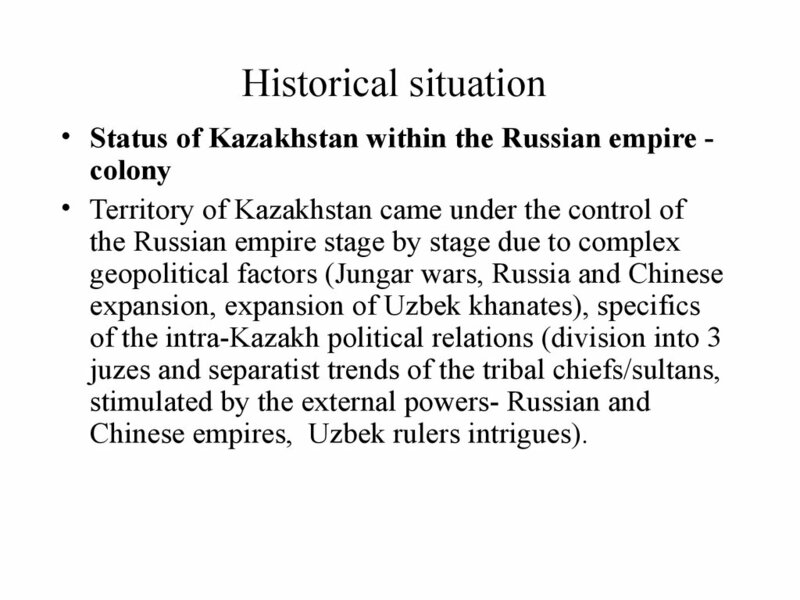 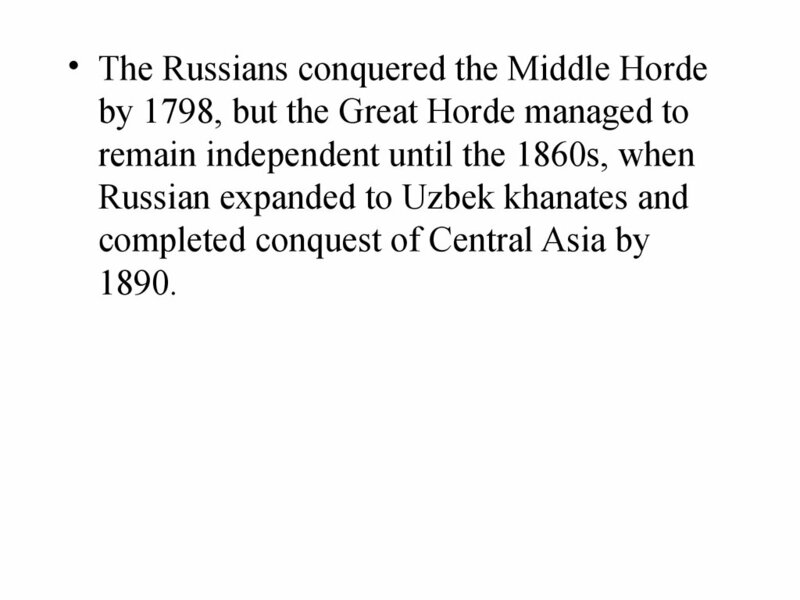 Chinese empires, Uzbek rulers intrigues). 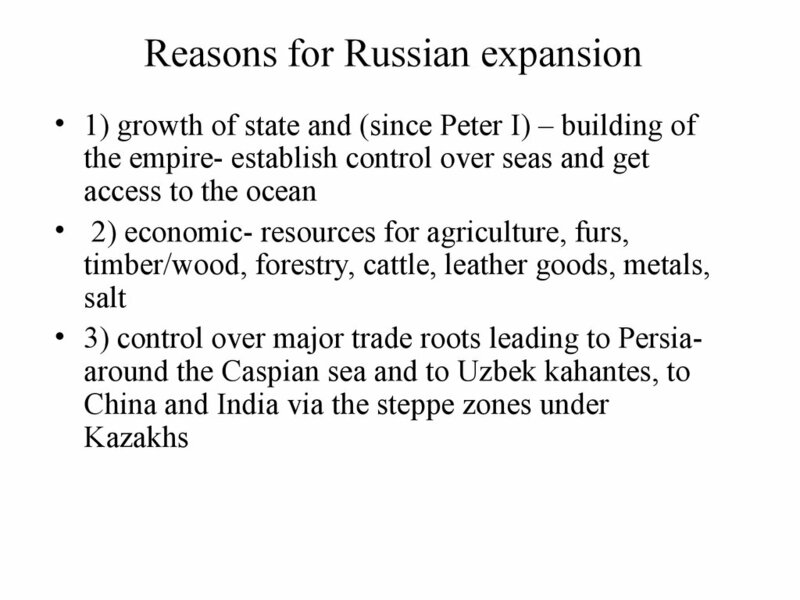 eastern lands up to the Pacific. 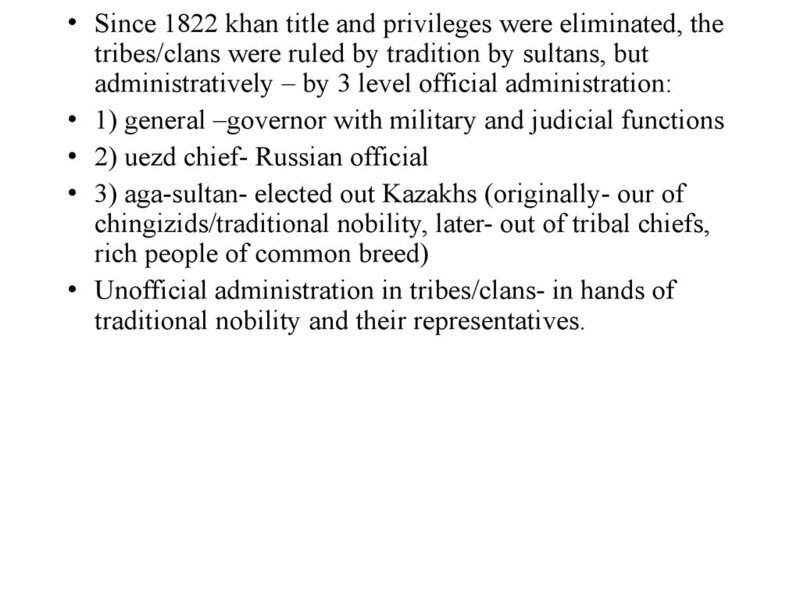 traditional nobility and their representatives. 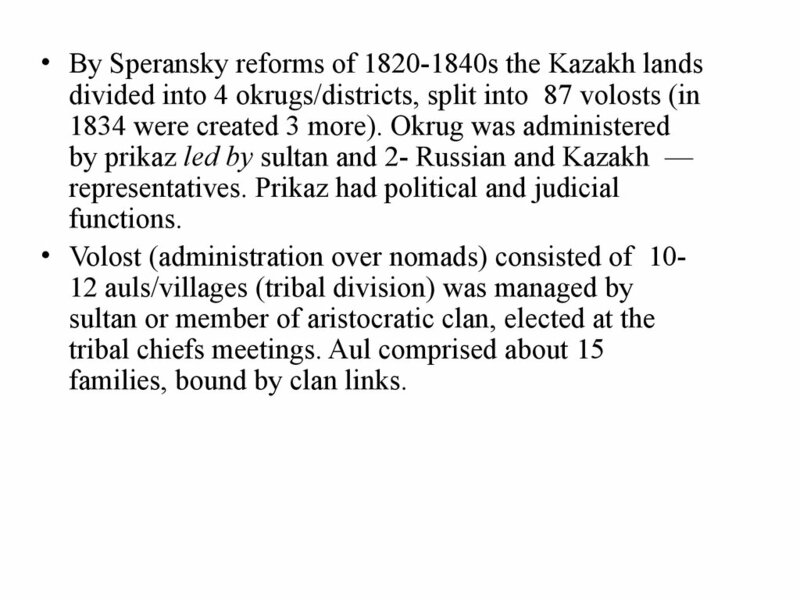 families, bound by clan links. 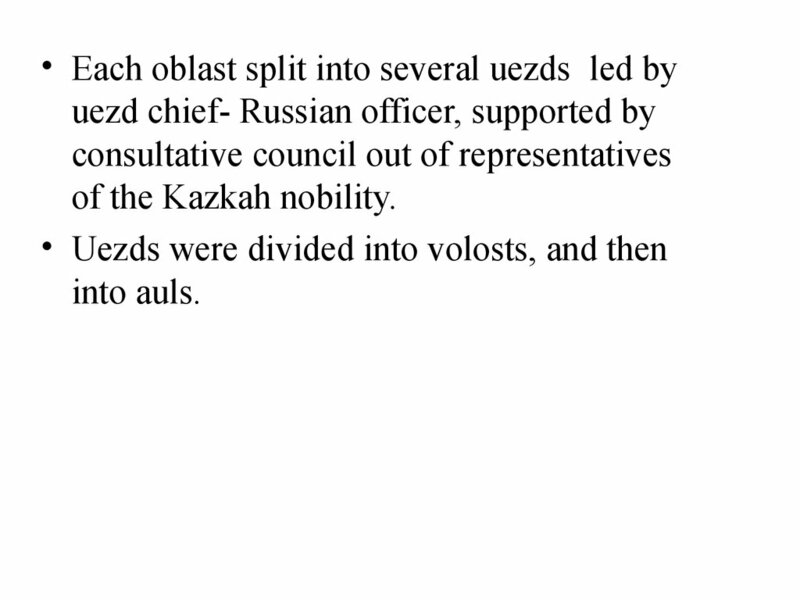 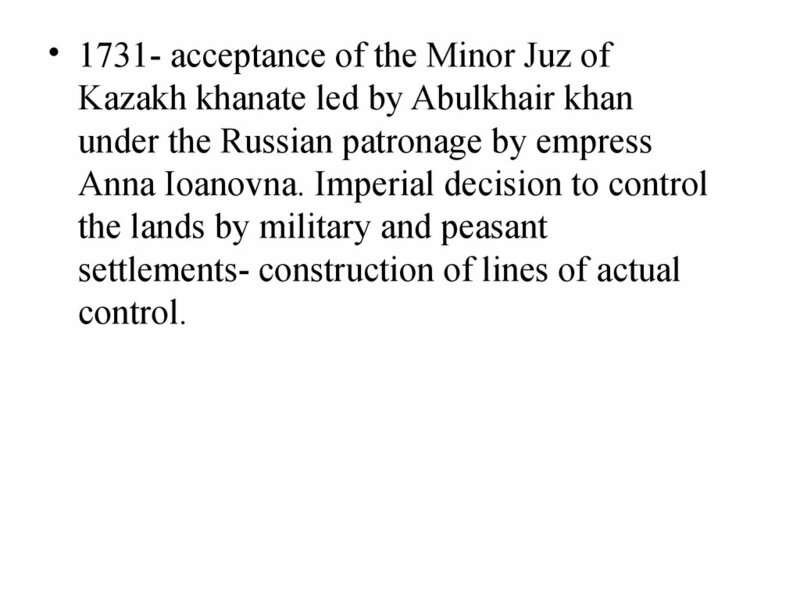 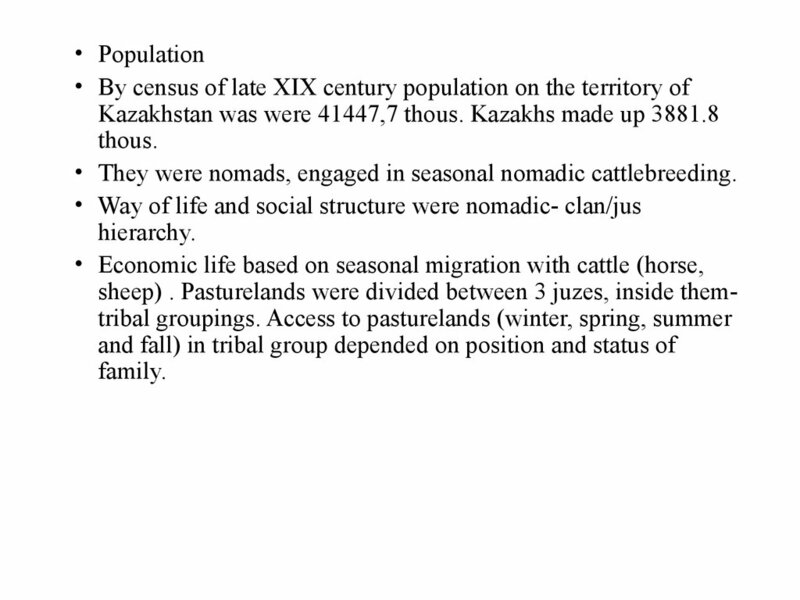 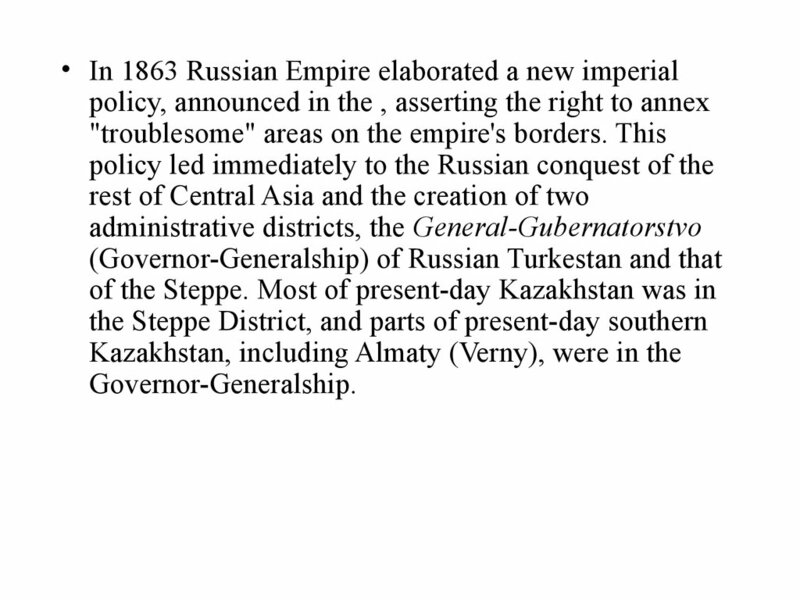 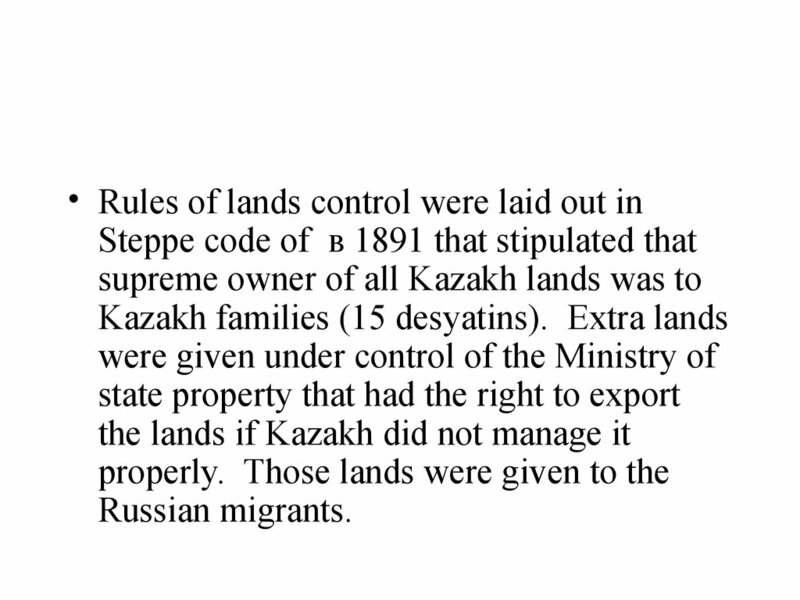 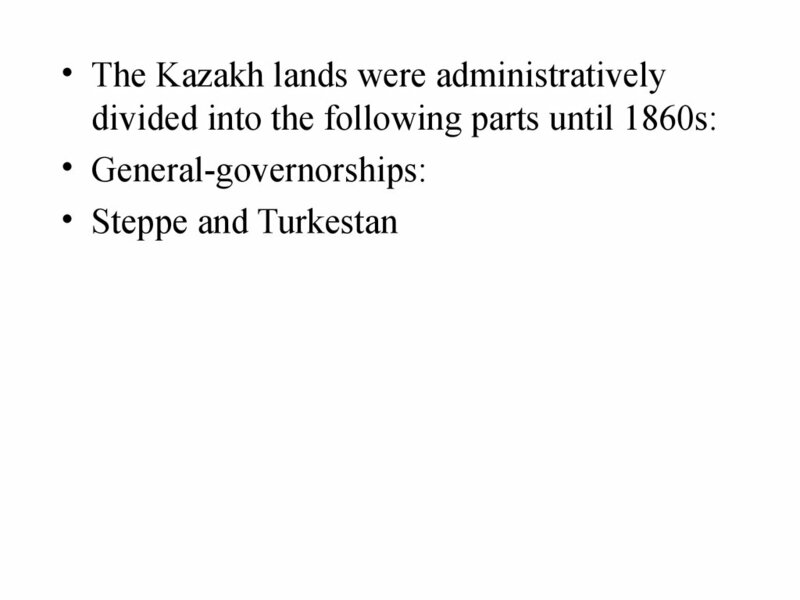 resulted in lands eviction from Kazakhs by force. 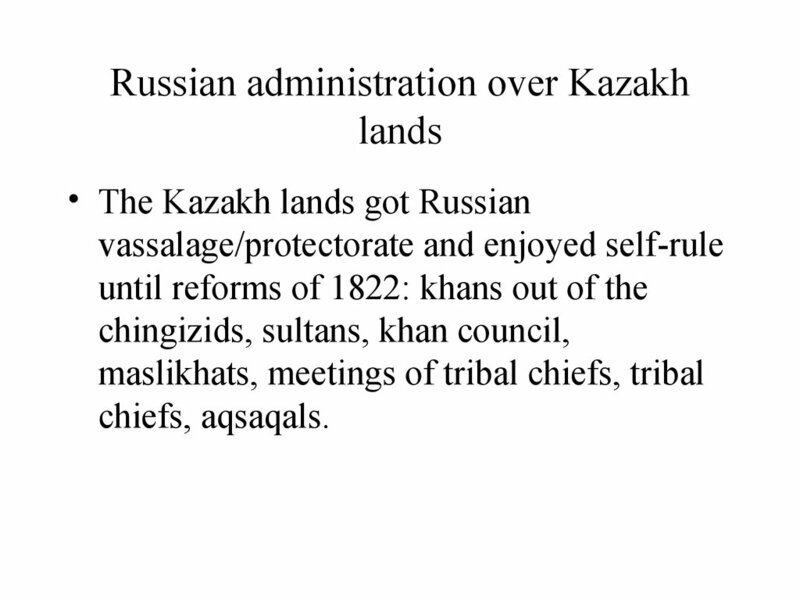 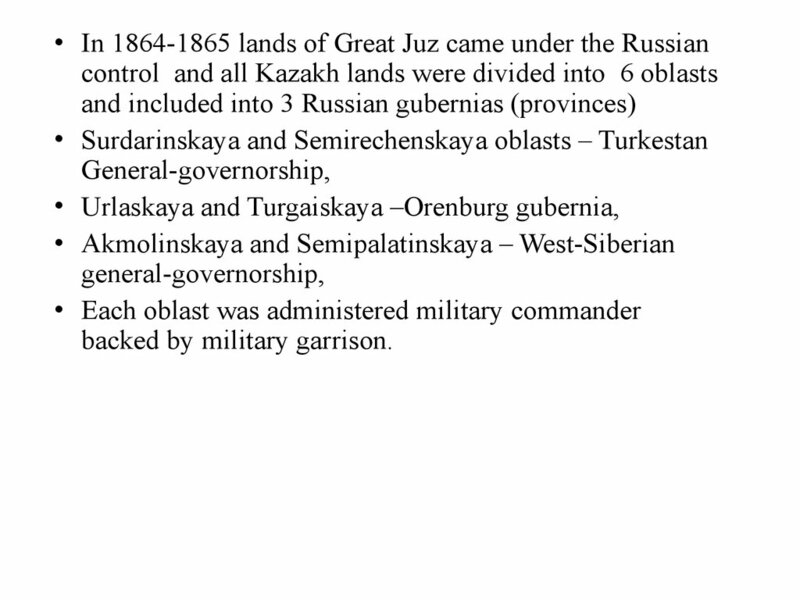 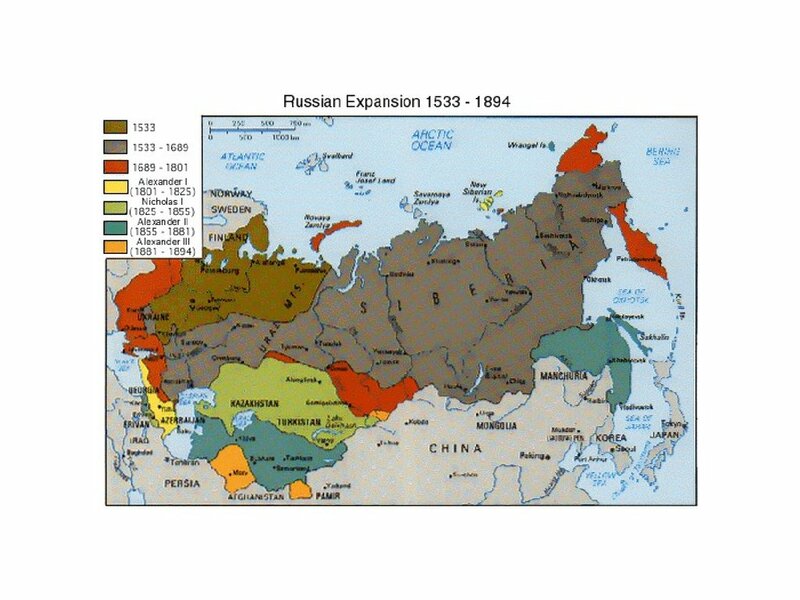 desyaitns of land from Kazakhs. 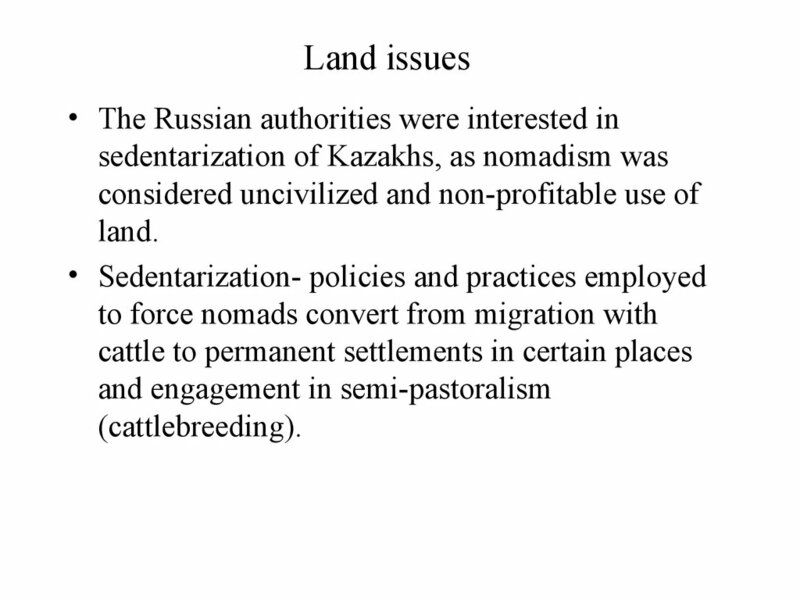 eastern areas and were engaged in agriculture. 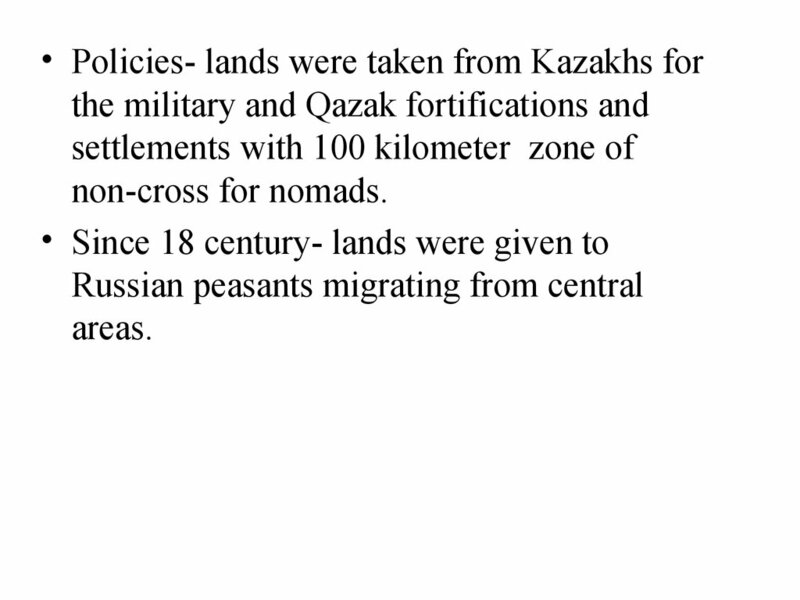 rebellions that cost lives and economic losses. 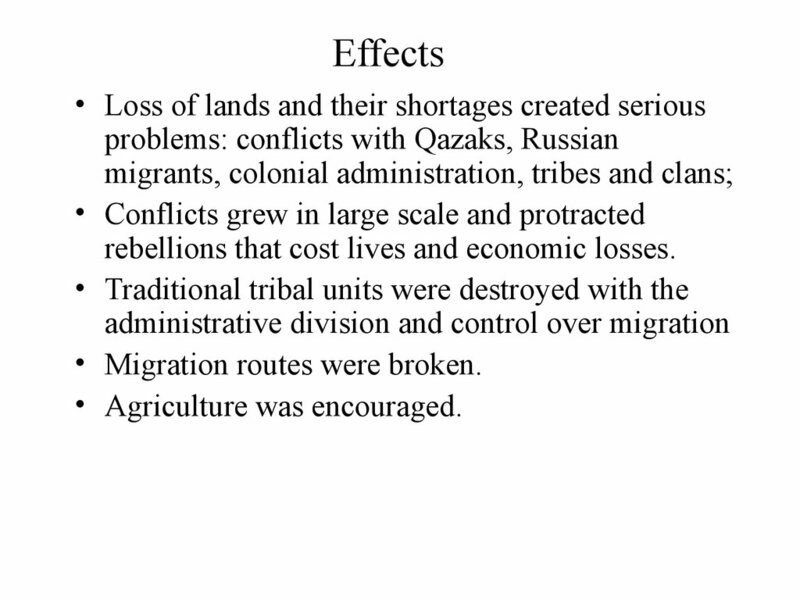 • Migration routes were broken.